of resistive/inductive load such as heating, cooling, lighting, and motor-driven machinery. 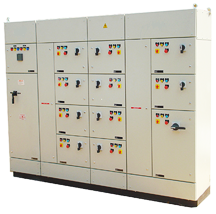 provides maximum output and consumes low electricity. 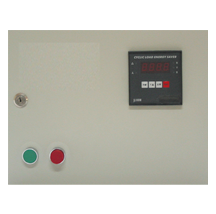 These salient features of our PLC based control panel make it perfect for automatic filter press. standard makes and models of the machines. for ease of usage and maintenance. We hold expertise in designing and developing remarkable Soft Start Panel Offered for High	moment of Inertia applications. Driven Load is Starts and Stops Smoothly as per Program Setting	in the Soft Start Unit. 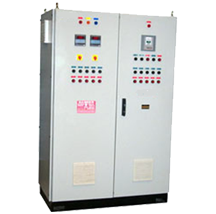 We are engaged in offering an automatic or manual forward/reverse motor driven applications. 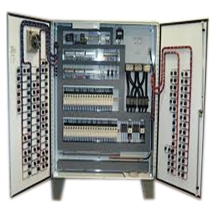 Both electrically and mechanically interlocked switch gear products are used. These Panels can be used for Grinding and Turning applications. 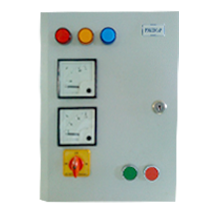 We Offer the precision made control panels for Fire fighting Systems with provision for engine auto start. Automatic and Manual control for Main, Jockey and Booster Pump with electrically interlocked between them. 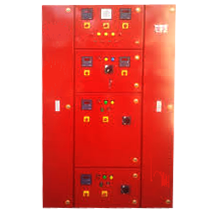 AC/DC Drive Panel, Electro Pneumatic Control Panel, AMF Panel, Starter Panels, Crane Control Panel, Annunciation Panels, Instrument Panel, Street Light Panel, Remote Control Station and	Control Desk. the load side to improve the power factor. 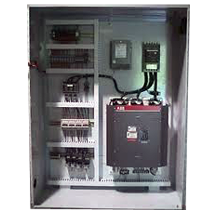 The Automatic Source Change Over Panel integrated the power distribution, control, monitoring and protection of Stand by power system. Source Switching and addressing the issue of complete power quality requires a whole new level of Automatic Transfer and System Capability. care Facilities, 24 Hours service centre and Data Ware houses. The Panels applied for Casting Foundry, Sugar, Cement and Chemical Industry. and it consists of Auto, Test & Manual mode selector switch. thermal over load relay during dry running (pump running without water). 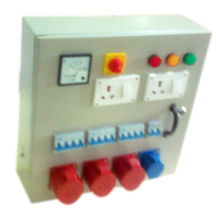 Auto Switch, Star Delta Motor Control Panel with Dry Run Preventer. 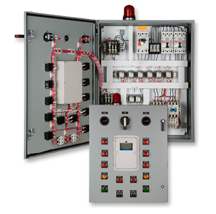 Single Phase Panel, Three Phase Panel, Metering Panel, Distribution Panel, Street Light Panel,	Junction Boxes. The Panels applied for Rural and Dusty Agricultural Environment, Plant & Domestic Construction	and Submersible applications. 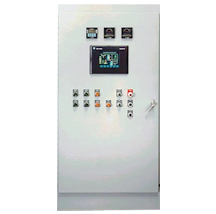 For Indivitual/group control of contactors, switching elements, soft starters, drives, HMI and programmable logic controller Panels, Connecting & Disconnecting sockets with cables are manufactured for various applications as per customer request. 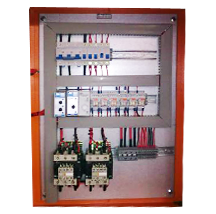 Control Panel for Processing Industry, SPM Control Panel, Pre Wired Module, Wire Harness.